In Chinoiserie: Seen everywhere lately from our Kips Bay room to the Whitby Hotel – chinoiserie is making a comeback in a big way. Whether wallpaper, fabric, or Chinese porcelain, Chinoiserie adds depth and interest to any space. I feel its so popular now because people are looking for something unique, handmade, and full of exotic fantasy! Memphis style: The ’80s hype is back!! The popularity of the Ettore Sottsass exhibit at the Met Breuer was indication that people are ready for this epic look again. 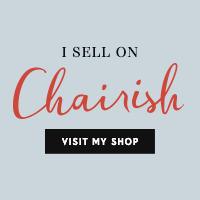 In smaller doses that is… We’re using an iconic chair, accessory or light fixture as a nod to the post-modern! The Mtv generation is ready to have some fun again. We’re not looking for full-on Memphis like Karl Lagerfeld’s Paris apartment of the ’80s, but carefully executed can this design trend can add interest and impact. Colored glass: As lighting or accessories, colored glass is everywhere. We are using colored glass chandeliers in almost all of our projects, both in bold and subtle hues. Vintage Chandelier at the top of the stairs in our Chelsea Penthouse project. Ceramics: There seems to be a resurgence of pottery as a collectible item. People are even taking classes as a way to get off their smartphones and down and dirty with their hands! Our favorite source is Culture Object for contemporary and compelling works. Colored cabinetry: From Kitchens, to bathrooms, to libraries, cabinetry is getting a dose of color. 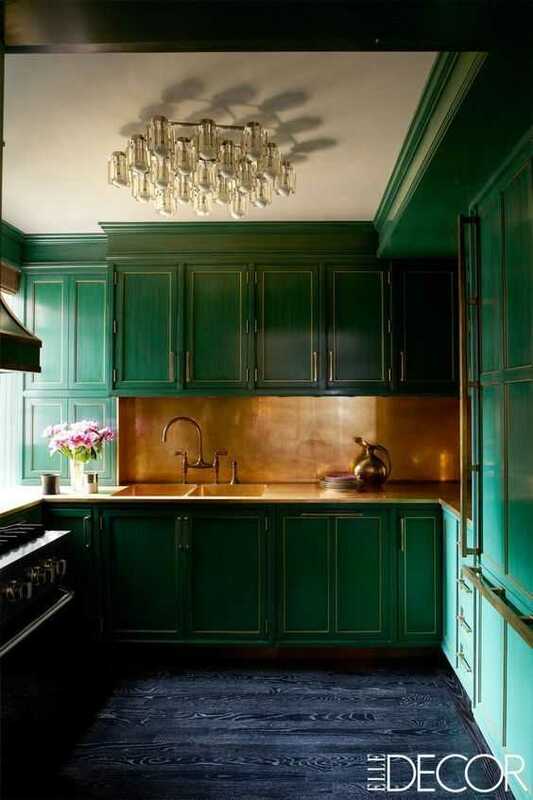 Often in high gloss finishes (we’ve been seeing this for a while now) cabinets of color and here to stay. White walls: We’re done with white boxes! We’ve done it before, and we’ll probably do it again, but we’ve been finished with white walls for a while now. Lucite: It was fun for a while, but has become ubiquitous…although we still love lucite for those small spaces. Visually light, but functionally heavy! Dark floors: People are realizing these are just simply impractical! Dark floors show every scratch, dust ball and imperfection and just simply aren’t conducive to even the most uptight lifestyle. We covered these dark floors with patterned, colorful rugs to hide a multitude of sins. Again, we’re not always keen to get on the “trend” bandwagon, as we tend to design for the long haul. That being said, when they involve pattern, and color, and sustainable beauty, these are trends we can live with for many years to come!